The Land and The Food: Weaving and agriculture are both potent threads to our ancient past, and also to our humanity as our earliest of spiritual practices, providing warmth and sustenance. Both have been around for thousands of years and are intimately connected - the harvest of the land spun into fiber and woven into cloth. But both labor intensive processes have had their magic discarded in our age, by things like ‘fast fashion’ and ‘factory farming’, leading to these expressions of human interconnectedness with the land - and each other - to becoming circumstances of exploitation, greed and suffering. We’ll focus our energy, on this retreat, on how the work of the hand can restore human dignity, and we’ll aim to renew our awareness of solving these issues, carrying that forward in our daily lives beyond. 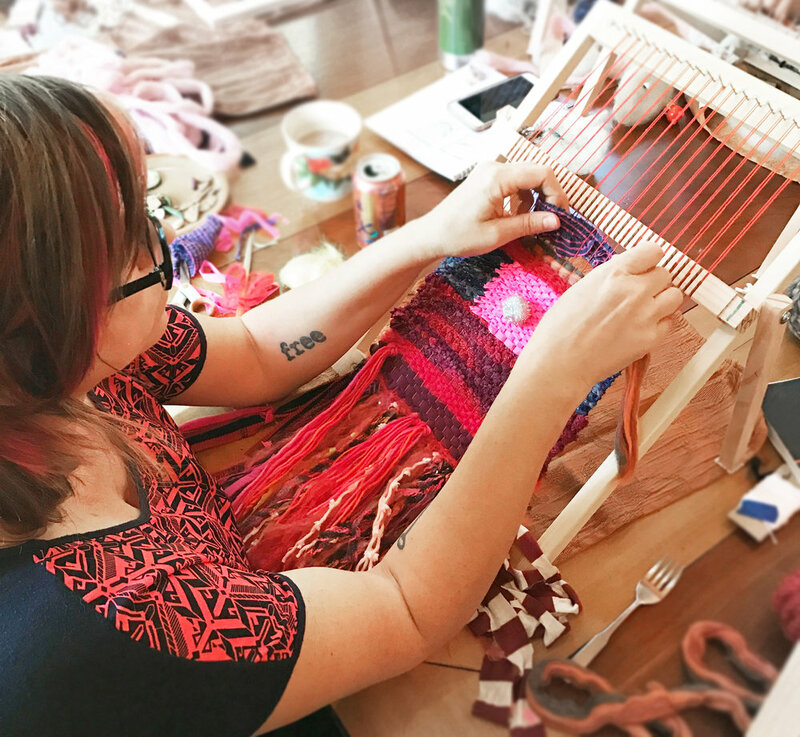 Most people who experience their own process of weaving have a new-found respect for what it takes to make something by hand, and also perhaps an awakening about the human cost of cheap textiles. We’ll be immersed in the special world of Northfork 53, created as a labor of love by farmers Ginger and Brigham Edwards, who have been passionately produced healthy food for small coastal villages and educating young farmers in sustainable agriculture for 10 years, and now are becoming the Oregon Coast’s first tea farm. Using organic and biodynamic methods with an emphasis on biodiversity and pollinator habitat creation, we’ll enjoy their lush fragrant gardens, and with complimentary tea bar the whole weekend, we’ll indulge in their hand- harvested herbs and tea-blends sourced organically from fair trade companies or from farmers they know from their travels. Our first morning together, we’ll walk over to visit to Meadow Harvest Farm, to meet the Targhee and Texel sheep — compassionately raised by farmers Sage and Brian, who have built a life of stewardship and sustainability of the land, caring for animals who are born on their land and spend most of their lives with their mothers. Sage hand-spins the yarn from her flock, and we’ll feature her beautiful yarn in our workshop later that day. 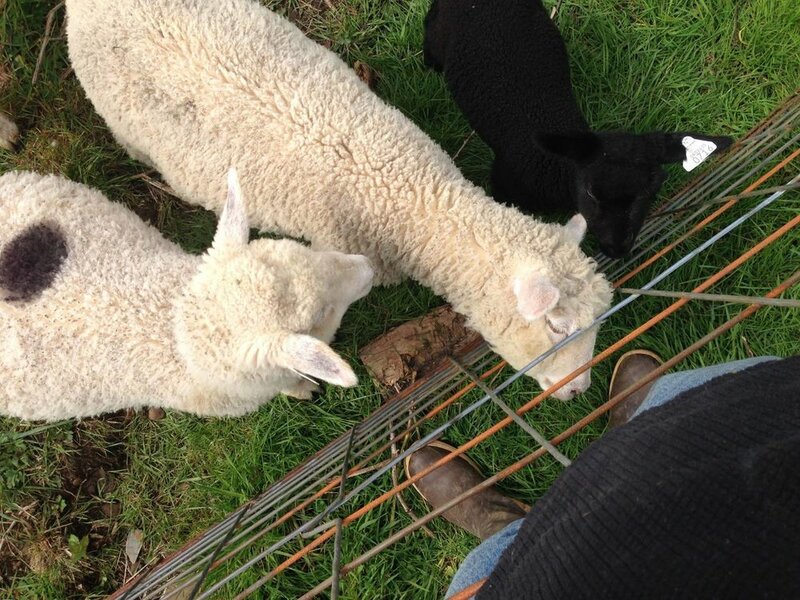 During our private visit, we’ll learn about Sage’s farm fiber studio - with the option to purchase her yarn and handmade woolens — her spinning process and we’ll get to maybe even meet lambs! The Vision: My art work, and my guiding principles as a teacher are part of an economy of care. 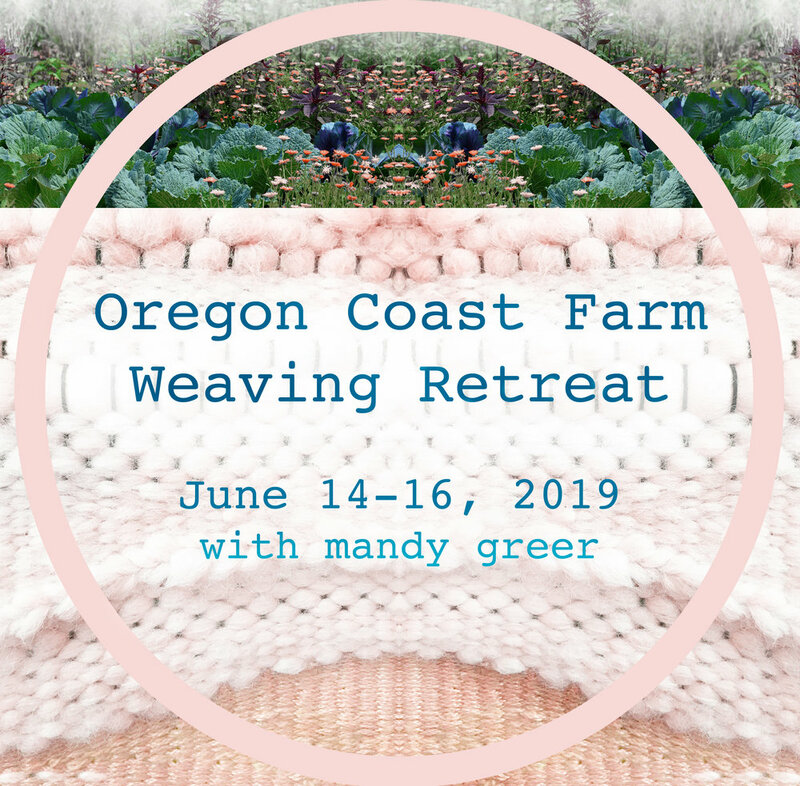 As a maker of immersive interactive fiber-based installations, my Weaving Retreats are my effort at Integrating my mission for my artwork and my objectives as a teacher — creating space for people to sink into experiential learning, togetherness, recuperation through restorative practices. These practices connect you to environment, to source and to the heart-felt labors of others doing the important care work of healing our relationship to the land and ourselves. We all share in weaving this net of co-responsibility. This isn’t just self-care, but a kindling of the experience of ourselves as part of the fabric of life. The Farmhouse at Northfork 53 has 10 different beds, with prices ranging from $187 - $252 for the entire weekend retreat. ﻿All Weaving Retreat Lodging is shared. Each bed is booked separately - One person per bed. Weaving Workshop on June 15th is booked separately - see below. Lodging is first-come, first-served. I cannot hold beds. Please book your Workshop registration at the same time as your lodging. Instruction is from 12-5pm, but you can weave as long as you like afterwards! A giant luscious stash of handspun wools, boutique yarns and up-cycled fibers. Featuring hand-spun yarns from two local farms and upcycled yarn hand-dyed with Indigo by me! Day-Tripper registration includes the 4-Course Farm-to-Table dinner, and are welcome to weave and hang out until 9pm. – 6pm - 8:30pm: We depart as a group for Manzanita Beach, for a potluck beach picnic, sundown intention-setting ritual, and searching the sand dunes for treasures to add to our weavings! General fun and wave-chasing, too! – 9pm: We return to the farm for Riverside wood-fired Finnish Sauna time! 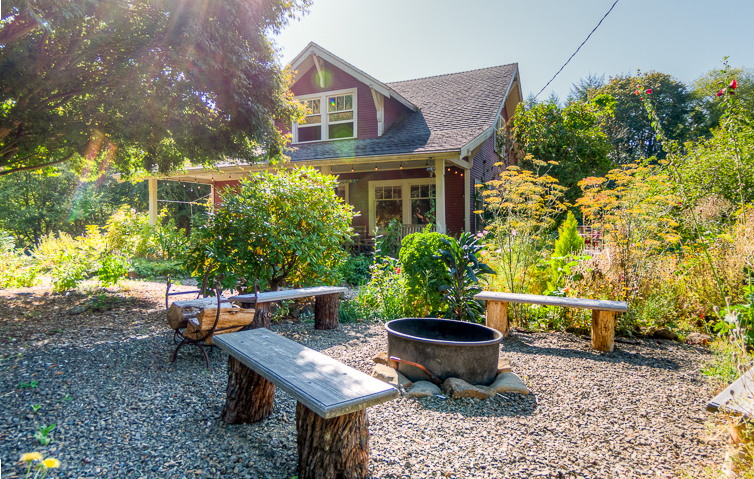 Rest, relax, read, enjoy community around the fire-pit! Peruse the yarns for next day’s workshop and try some farm tea at the tea bar! – 8am-9am: Breakfast made by our private chef, from Farm-to-Table goodness! Vegan/GF options. – At 5pm, workshop instruction ends, but you are welcome to continue on your weaving all night long. – 6:00pm-ish: We all sit down together to enjoy a 4-Course Farm-to-Table meal prepared by our private chef, from local farm produce. The rest of the evening is yours to continuing to weave, sharing our work, relaxing by the fire, s’mores, optional sauna, quiet evening moments in the garden! -9pm: Day-trippers are welcome to continue weaving until 9pm. -8am-9am: Breakfast made by our private chef, from Farm-to-Table goodness! Vegan/GF options. -10am: weaving looms and materials are available until 10am, then community clean-up, sharing weavings and some last laughs! -11am: check out and good-byes! -You must pre-register to reserve your spot in the workshop, and the lodging. A detailed informational email will be sent to you 3 weeks before the retreat. -Only complete registrations, paid in full, with completed contact information of all participants, will receive the Informational Email. -If workshop and lodging minimums are not met by this date, the retreat will be canceled and you will receive a refund. Please spread the word about the retreat! -Only registered workshop participants may stay the night. -If workshop or lodging options sell out, contact me to be placed on a waiting list. -The workshop is suitable for people 13 and up. Those under 18 must be accompanied by an adult who is also a registered participant. -This is a community experience, not at a hotel with a staff. You will be expected to be responsible for yourself, your belongings and your mess - including cleaning up after the workshop. And to treat the beautiful property with respect. Which is great! It’s empowering being a responsible adult. House rules include shoes off inside, no smoking, and showering before using the sauna, and no amplified music. 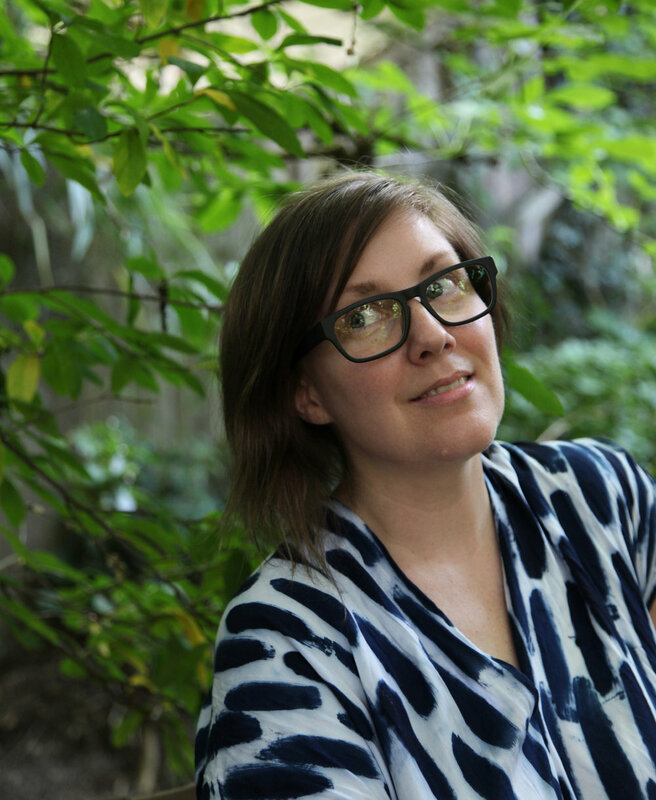 Mandy Greer is a multidisciplinary artist working in a symbiotic way with fiber-based installation, photography/film, performance, social and environmental interactivity and knowledge-sharing. She is inspired to challenge and blend the boundaries between these ways of making, particularly the boundaries between performer/artist and audience, and between process and final product. For the past 6 years, she has been teaching her experimental approach to fiber workshops in her own Columbia City, Seattle-based studio, The Silver Studio. 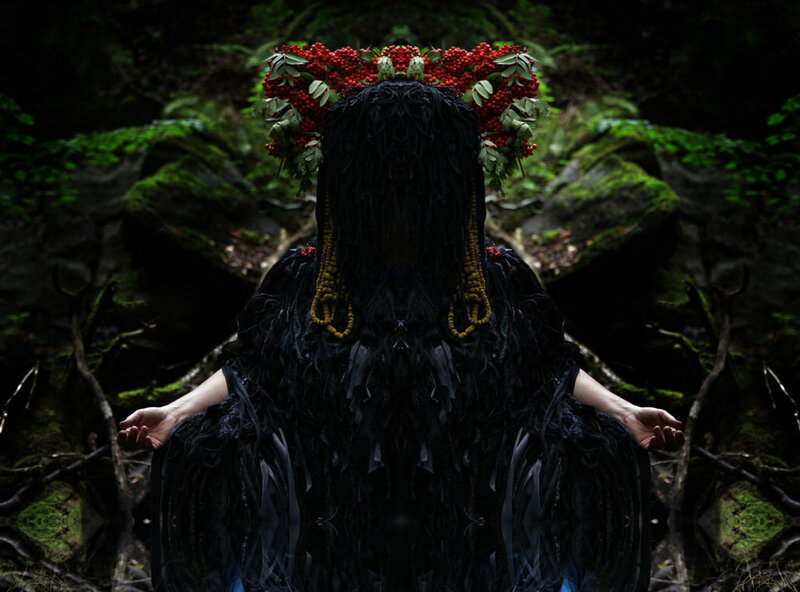 Her work has been exhibited nationally and internationally at Centro di Cultura Contemporanea at Palazzo Strozzi, Florence, Italy; Cathedral St. John the Divine in NYC; Museum of Contemporary Craft, Portland, OR; Bellevue Arts Museum, Seattle Art Museum, Henry Art Gallery, and Frye Art Museum, Seattle, WA. Mandy has received numerous awards including the Arts Innovator Award from Artists Trust/The Dale and Leslie Chihuly Foundation and the prestigious Louis Comfort Tiffany Foundation Award. She has been featured and reviewed in many publications including the New York Times, Hi-Fructose Magazine, Seattle Magazine and Art Ltd.
Mandy Greer has an MFA from the University of Washington, and has taught clay, fiber and art in a broad spectrum of settings. She has taught as an adjunct professor at The University of Washington and The University of South Florida. She has taught school-aged and adult programs at The Frye Art Museum, Bellevue Art Museum, Seattle Art Museum, The Hudson River Museum and through Seattle Public Schools and Mercer Island School district. She has lectured and taught workshops at UW, Evergreen State University, Western Washington University and Emory University.